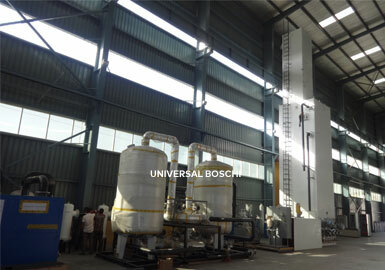 We are leaders in manufacturing, fabricating and supplying pure nitrogen plants. Our nitrogen machinery is fabricated using the advanced cryogenic distillation technology. We entered into a technical collaboration with ING. 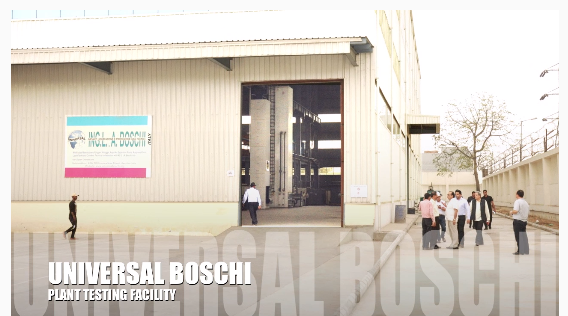 L. & A. BOSCHI of Italy to acquire the latest technology and designing expertise. The plant machinery generates nitrogen with purity up to 99.99%, which is excellent for industrial and medical applications. Our nitrogen gas plant machinery comes in different sizes and capacities from 50 m3/hour to 10,000 m3/hour. Our machinery delivers seamless performance for years. For compliance with quality standards, we have been given ISO 9008:2015 and CE. Pure nitrogen plants are supplied to customers located all over the world. Apart from the fully automatic functioning and advanced features, the machines consume low power and perform exceptionally well. Annual maintenance of the machines is also very low. They require minimal area to set up and run. Some salient features of the plants include high performance, sturdy design, advanced components and many more. Low power consumption due to Low pressure (5 to 7 Bar) process. Low maintenance due to no reciprocating parts. Fully automatic air cooled design Rotary Air Compressor. Nitrogen output at high purity up to 5 PPM. CE certified product with design as per European Gas Association guidelines for ASP’s. Cryogenic expansion of air for cooling via Expansion Turbines. No special civil foundation required for any part of the plant. Hydrocarbon vapor level reduced below 0.003 PPM to ensure safe operation. l. Air Compressor : Rotary air compressor screw type can be used for smaller size plants upto 50 m3/hr & 1000 m3/hr. Upto 40000m3/hr. Centrifugal compressor can be used for higher size plants. 2. Air pre cooling system : Air separation plants adopt chilling system in all air pre-Cooling systems. 3. Air purification system : Molecular sieves are used in the air purification system to remove the Co2 & moisture for the process air at low- Pressure. 4. Air separation column : (Air separation column-cold box) consists of outer steel casing, Main heat exchanger, liquefier, Bottom column, Top column, Condensor, Sub-cooler, Liquid oxygen & nitrogen filter. Cooling pipe line, insulation material, Digital electronic temperature indicator & scanner, PT 100 sensor, DP gauge monometer, Expansion valve with long stem type with pointer & index & wheel -1 set. 5. Expander : Expander is used for giving cooling to the air for the liquefaction process and braked by booster, so as to reduce the expanded air volume, stabilize the upper columns working condition and reduce power consumption. The turbine expanders have complete trouble free working and long life and reliability. 6. Control Panel : Pure nitrogen plants can be configured for automatic operation through a pc. This will use a out switching valves of German or Japanese And motorized cryogenic valves on cold box. 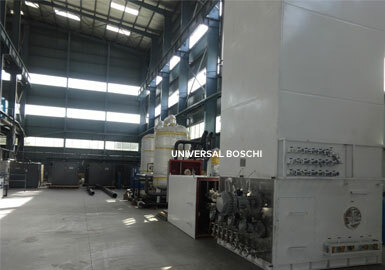 UNIVERSAL BOSCHI INDUSTRIAL PLANTS MFG. CO. Copyright © 2016 universalboschi.com - All Rights Reserved.